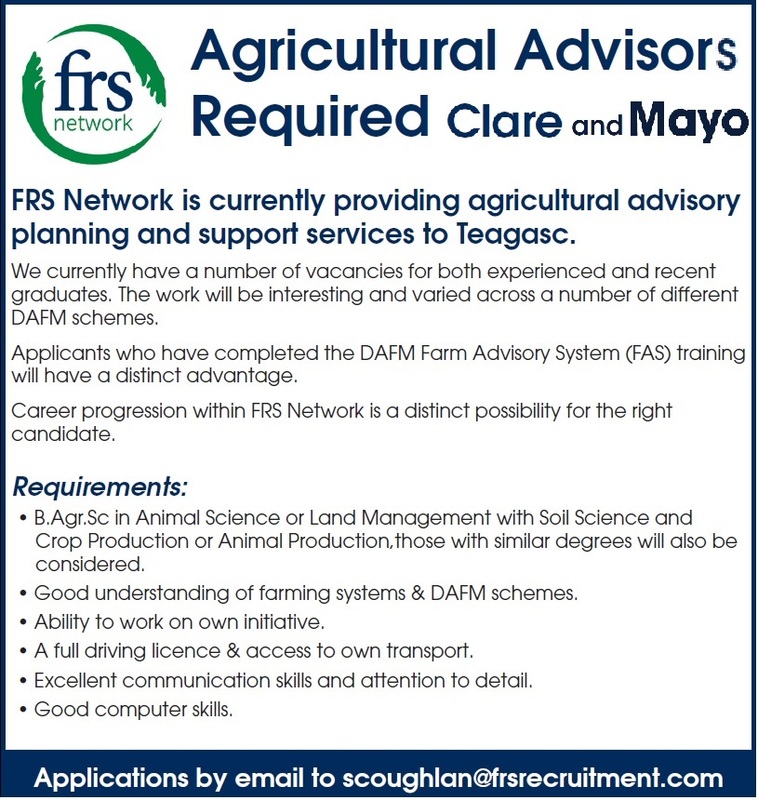 FRS Network is a farm service provider to the Irish Farming Industry since 1980 and now seeks an enthusiastic Business Development Manager to drive its business forward. This exciting opportunity will involve analysis of current and new business growth areas, strategic planning and delivery of results. Ruaidhrí Deasy is a tillage farmer from Borrisokane in County Tipperary who completed his boom sprayer course with FRS Training. 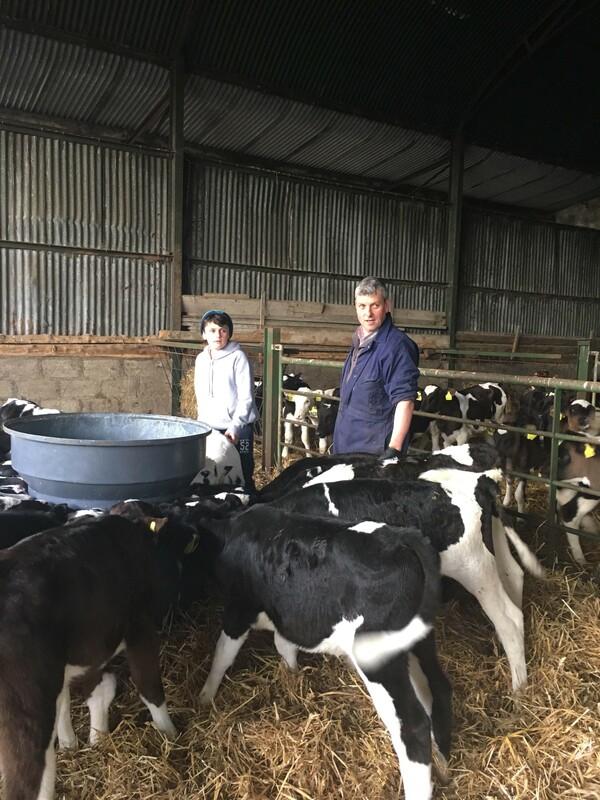 Ruaidhrí found the course itself to be extremely worthwhile and would encourage other farmers to do it. He learned things he never knew before even after having sprayed for 45 years. The Sustainable Use Directive (SUD) stipulates that all professional users such as farmers and distributers of plant protection products, are now required to be trained and registered with the department before they spray. The training involved focuses on pesticide application which includes Boom Sprayers and Knapsack Sprayers. Farmers need to ensure that they are compliant. Jim Dockery is a training manager with FRS and commented; “We have trained over 12,500 people to date through our QQI Pesticide Application Course which is compulsory for all professional users, including farmers under the new SUD. Jim noticed that a lot of farmer’s attitudes towards the training changed after completing the course. 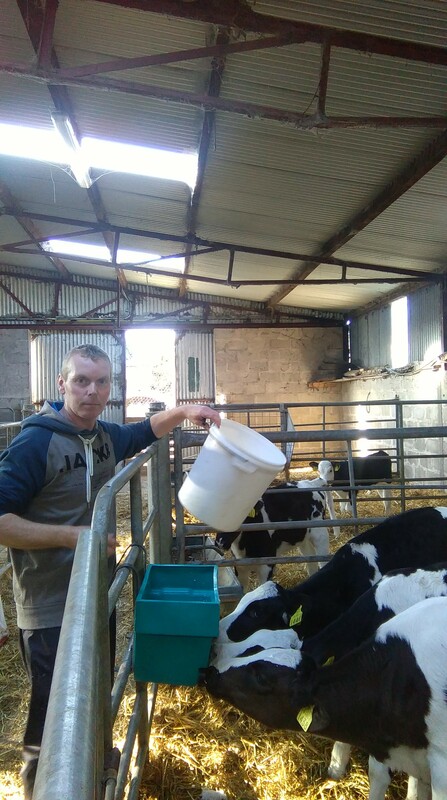 Another Tilage farmer, Tony Bell from North Dublin also attended the FRS Training Course organised through NAD (National Agrochemical Distributors) and was host farm for the course. Tony himself has a new 24 meter boom sprayer with a 3,200 litre tank and acknowledges how important it actually is to do the course. Trainer Jim Dockery also noticed that from speaking to farmers, recording the use of pesticides to be compliant is an issue for them. 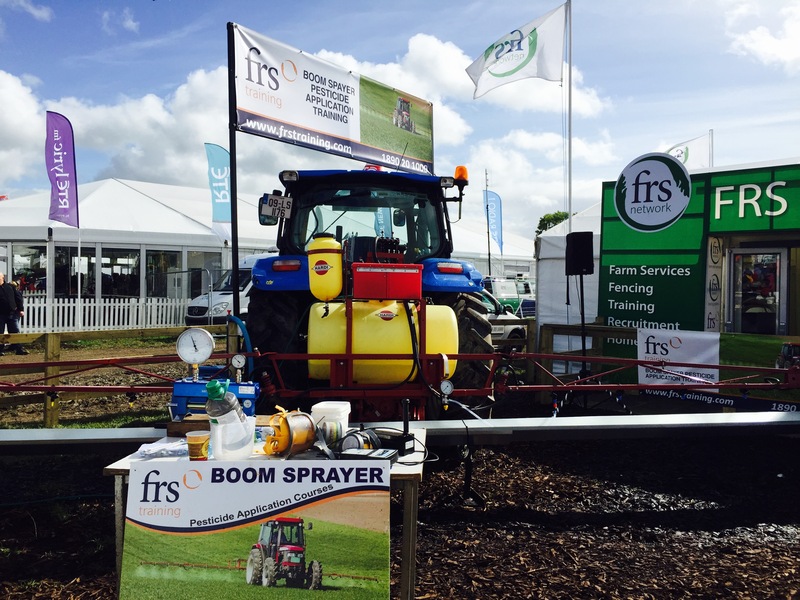 What does the future hold for Sprayer Compliance? The next compliance directive is only around the corner with the deadline on November 26th 2016. 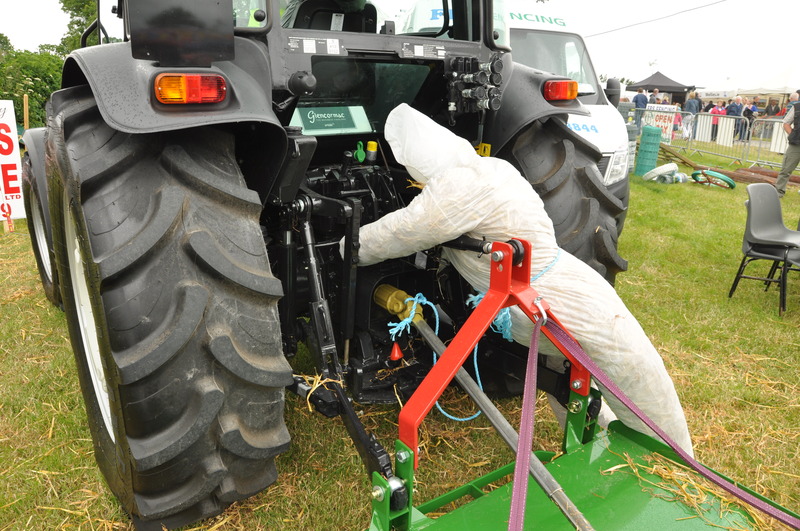 Basically it is similar to an NCT for a car only it’s for your sprayer and FRS training have built up a team of engineer inspectors who are qualified and registered with the department to deliver this on farm service to farmers. Under Irish legislation all sprayers must be tested once before the coming November 26th deadline. The test will cover the sprayer until 2020. After that a test will be carried out every three years after 2020. This legislation refers to all boom sprayers (above 3m) and blast/orchard sprayers. Testing will regulate and rationalise the amount of spray which will reduce waste and save money. The chance of mid-season breakdown is also reduced if your sprayer is tested. When it comes to NCT, for resale purposes, your sprayer will greatly benefit from the test if in proper working order with official certification. Testing your sprayer will protect you, your operator, employees and general public from health and safety risks associated with pesticides. Contact FRS Training on 1890 20 1000 or visit www.frstraining.com for further information on sprayer training, testing and other courses. 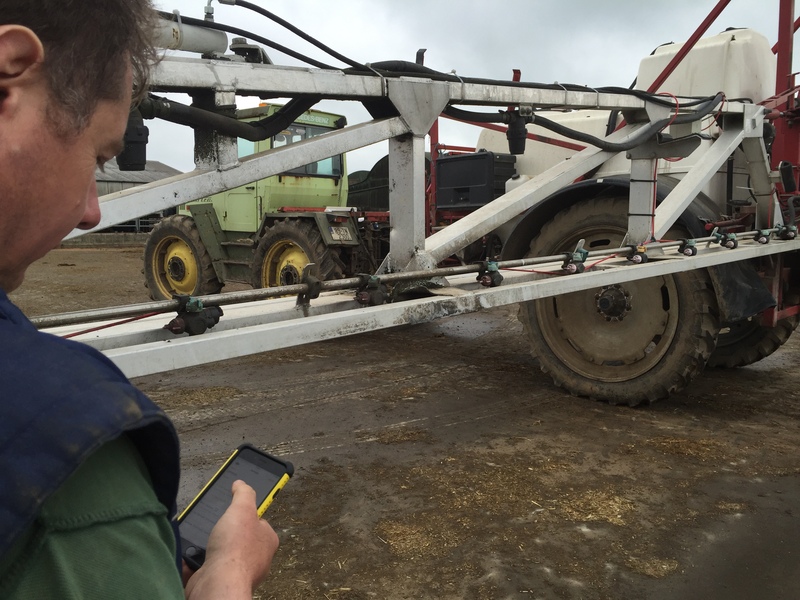 Herdwatch, the farm compliance app currently in use by thousands of farmers nationally, has just announced new features to assist Irish farmers with spray reporting requirements. Developed in response to farmer demand, the new app allows farmers to effectively manage farm compliance anywhere on any device (smartphone, tablet or computer). Jim Dockery, FRS Training Manager said ‘We have trained over 12,500 people through our QQI Pesticide Application Course which is compulsory for all professional users, including farmers, under the new Sustainable Use Directive. From experience and feedback from farmers recording the use of pesticides to be compliant is a big issue for them and Herdwatch has developed an easy way for this to be done through the App on your phone saving farmers time and hassle. We will definitely be recommending it at our training courses and are confident that it will solve this spray recording problem for farmers in the future. With over 3,000 farmers nationally using Herdwatch, the focus is on assisting farmers, not only to accurately report on compliance, but also save time on previously lengthy paperwork requirements. The app provides assistance not only with spray reporting, but also helps livestock farmers with Bord Bia remedy and feed purchases recording, calf birth registrations, weight recording, and the full breeding cycle. A free trial is available for those looking to test the app out, with app founder Fabien Peyaud encouraging farmers to embrace technology to help simplify farm management. The Herdwatch app was launched in 2014 by FRS (Farm Relief Services), and has since won numerous prestigious awards such as the National Ploughing Championship Award for Software Innovation in Agriculture, and the AIB Start-up Academy award. Farming in Ireland today is recorded as being not only one of the most dangerous occupations but also one of the most demanding with statistics showing that farmers continue to work the longest hours per week. It requires a lot of time and dedication and so many farmers every year continue to farm without taking a break. Not only does their family time suffer but also their health. Jeremy O’ Hanlon from Cloyne in county Cork has been farming all his life. His farm is spread across 120 acres which demands a lot of time and effort on a daily basis. For Jeremy and his wife Anne family life is very important. Every summer without fail they take the three children Shane, Sarah and Áine on holidays. They have been going on holidays since they got married almost 18 years ago and from the get go they have used Farm Relief Services to take care of the work on the farm while they are away. Farm Relief has always played a strong role in Jeremy’s life as his dad also used farm relief whenever he needed help on the farm. Jeremy thinks it is vital for farmers nowadays to take a well-deserved break during the summer months. Not only is it beneficial to the Farmer’s health it gives the farmer some quality time with the family. The same FRS operator, James Barry, has been coming to Jeremy’s farm for the past 6 or 7 years and has never let him down. Jeremy feels confident leaving for holidays knowing that he can put his trust in him to get the work done and have his mind at ease during his time away. Jeremy and his family have plans already in place for this summer having booked a week away in the Netherlands. Plans have been made with Farm Relief who will be sending his usual reliable operator out to the farm to run the show whilst he is away. 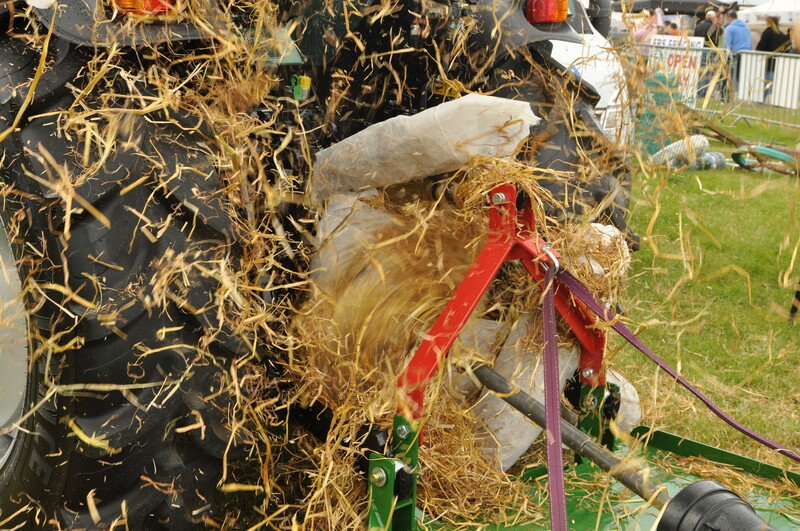 FRS are there to tend to the farmers needs during any time of the year when farmers wish to take a break from farming life. Trained workers are sent out to the farm to cover all the farm work which guarantees to put the farmer’s minds at ease. With 20 offices nationwide Farm Relief Services are strong employers. Spring and summer are the busiest times of the year for FRS. Recent surveys carried out show that there is a requirement for approximately 200 workers for seasonal roles. Relief workers are needed for milking, general farm work and calf rearing positions that generally last three to four months. Being an FRS operator is a flexible role which suits people in many areas such as young people looking for experience, those with spare capacity outside of their own farm work and even women who can work while their children are at school. TJ Heffernan started working with FRS in Cahir fifteen years ago and has never looked back. TJ himself had farming experience with a background in farming having farmed all his life. Whilst working with FRS TJ became an operator going out and working on farms on a daily basis. 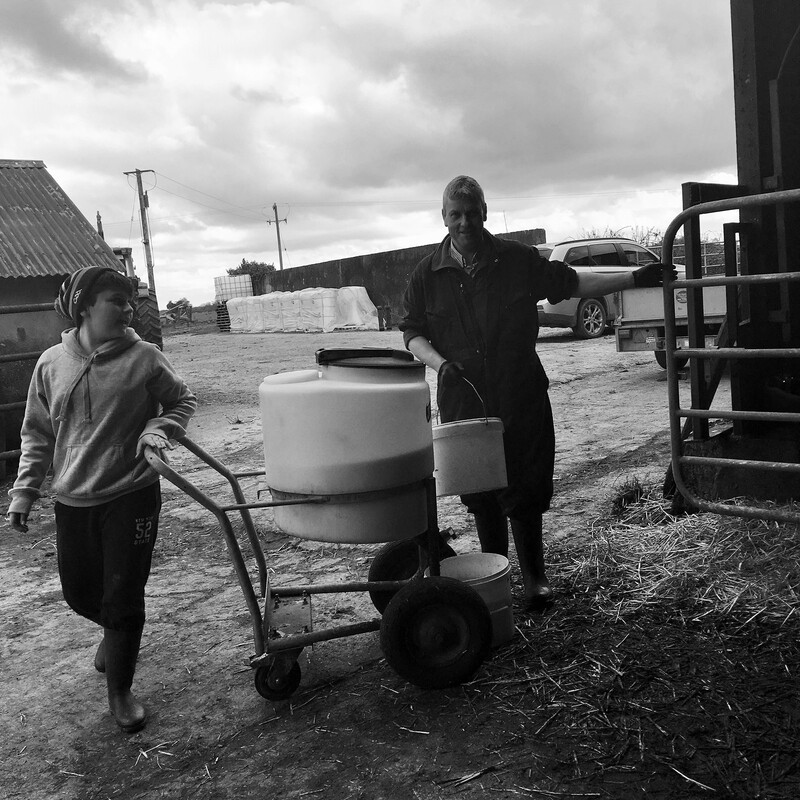 “I had been farming all of my life myself, but basically what I came in doing first was milking and I didn’t need any training on the milking because I was always milking myself”. Although TJ did not need training with the milking, FRS provides training to all new operators starting within the business. Over the years with FRS TJ started Freeze branding and was trained how to properly do it by the FRS trainers before going out on the farm. Although he would put his hand to anything on the farm, these days TJ mainly specialises in Freeze branding and Plastic collection. “After a few years I went into Freeze branding, that’s what I am at mostly for the past 12 years and FRS provided all the training for that which was great. I also do the plastic collection too which keeps me going”. FRS are always there to help their customers out, when the farmers ring they know exactly what they need and want and so send the operators out that will suit their exact needs. TJ said at times you could spend up to five hours a day on a farm all depending on the work load. “You could spend up to four or five hours at any given time on the farm, it all depends on how many animals are in the place but generally it takes about three hours”. FRS are continuously looking for people to come along and join the team. There is a need for workers all the time as they are in high demand by the farmers particularly during this busy season. TJ thinks that working with FRS is great and the fact that they provide training is even better. “Working as an operator with FRS is great and more people should be looking into getting work with them, they provide the training too which is excellent. I think lads coming out of college should definitely be looking into it even on a part time basis”. FRS Training are an established training company who deliver accredited and non-accredited courses to various sectors including; construction skills, health and safety and agriculture. FRS wish to recruit an Office Administrator, on an initial short term contract, to support the delivery and accreditation of various training courses held nationwide. The role will be based at FRS Boyle. General office administration as required. Previous administrative experience, 1-2 years. Duration: July / Aug 2016, possible extension. Preferably seeking a candidate with ongoing availability.